They can repeat and record your speech to fill a lot of fun around your children. There are different colors and movements for your choice. You can choose your child favorite one. Note: Customers prepare 3 sections AAA batteries by yourself. The battery seat is under the nodding hamster toy or behind the walking hamster toy. • EARLY EDUCATION-This toy can record and mimic your speech in his own critter voice, you can keep the voice next to your baby and the lovely sound will stimulate your baby's hearing..
• SOFT COTTON-Plush doll with PP cotton filler that makes the toy more comfortable to touch. 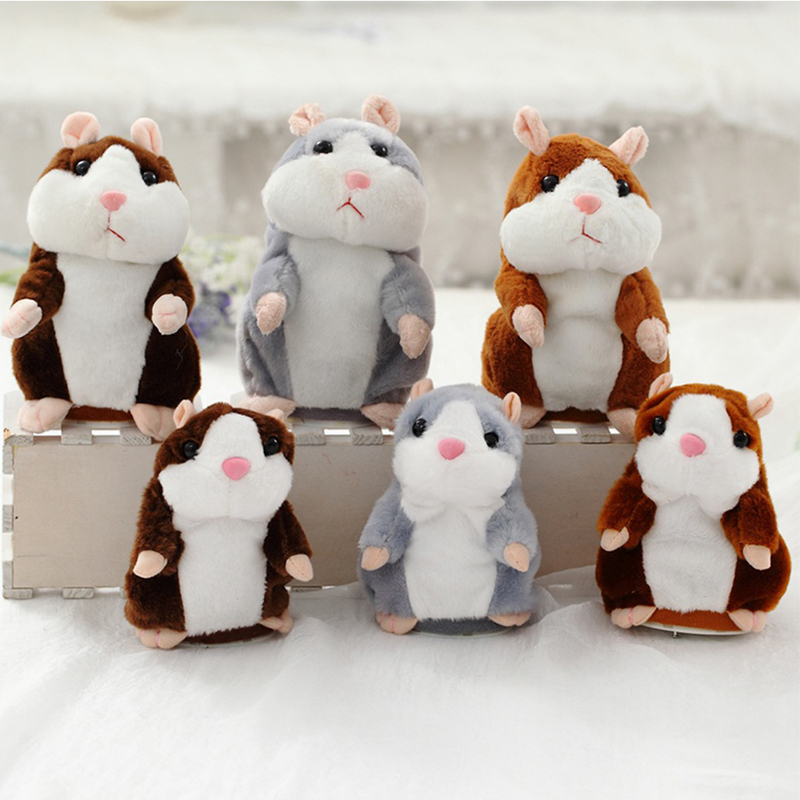 Healthy and harmless, you can rest assure there is no harm to the children's health..
• CUTE MOVEMENTS-It will be surprise when your children see the little hamster toy can nod head or walk. You can choose the one you like..
• GOOD PARTNER-This toy can be a good partner with your little baby, children even your girlfriend..
• INTELLIGENT SOUND-The toys are good at repeating what you say, that will fill a lot of fun around your children..